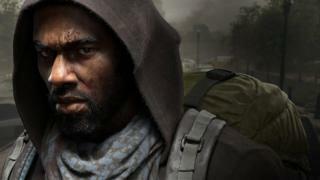 Overkill's The Walking Dead has been cancelled, despite being available to play for over three months. Skybound Entertainment, who own the Walking Dead franchise, said it had broken off its contract with video game developers Starbreeze Studios. In an official statement, Skybound said: "The Walking Dead did not meet our standards nor is it the quality that we were promised." The game was initially released in November 2018. Technical problems and simplistic gameplay led to mixed reviews from critics and players. The first-person-shooter had been in development since 2014. In it characters Aidan, Heather, Maya and Grant formed a team which allowed players to engage in four player co-operative action. The group have a common objective, build an maintain camp, scavenge materials and stay alive. To do so they had to fight the dead as well as the living, but since its release the game has had a number of practical issues. Skybound said they "did their best" to work with the developers and resolve problems in the game. "We remain dedicated to providing our fans with the most premium quality content we can offer and will continue to look for alternative video game options." Earlier this month, Skybound's partner 505 Games were forced to deny the game's cancellation after gamers who had pre-ordered The Walking Dead had their purchases refunded. Skybound Entertainment are now taking legal action against game developers Starbreeze Studios. As a result the game is expected to be removed from new purchases on the PC gaming platform Steam in the near future. Starbreeze however are in talks to allow them to deliver extra content for their to players who have already paid for it. In a statement, Mikael Nermark, Acting CEO of Starbreeze said: '"We are deeply sorry for the issues this may cause anyone who has bought the game. "We're working urgently to attempt to resolve the issue."